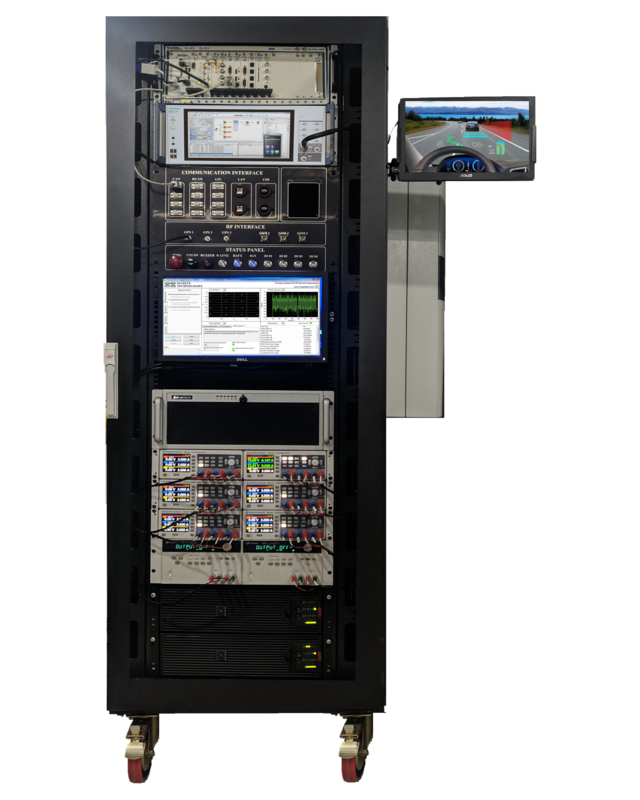 Our Telematics and Infotainment Test solution is based on scalable and software defined PXI architecture powered by LabVIEW and TestStand test automation software. 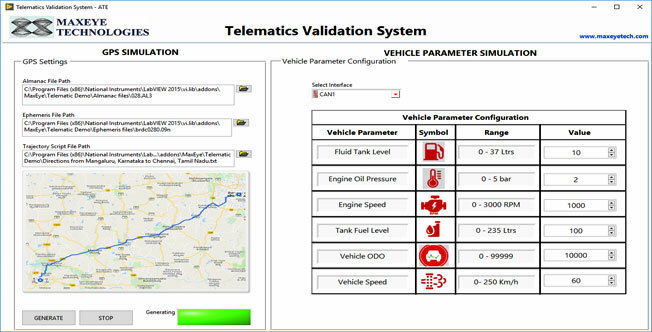 The test system emulates the connected car environment, virtual driving, vehicle parameters using CAN simulation, simulated hardware I/O and communication with the web server. Our test system significantly reduces the time required to integrate a telematics control unit into the vehicle. Scenario simulation - Tunnel, Urban Canyon etc.